There were a few Whistle Test repeats on BBC4 last week, one of which jumped out at me. Nick Lowe was leading Brinsley Schwarz through a great, soulful version of Surrender To The Rhythm, a track from their 1972 ‘Nervous On The Road’ LP. I’d never knowingly heard Brinsley Schwarz before and I was getting into the song’s groove when it hit me: That wee occasional keyboard riff! The phrasing in Nick Lowe’s delivery! I’ve heard this song before! Placed in time somewhere post glam and pre punk, Brinsley Schawrz were part of the pub-rock movement, a gritty, back-to-basics scene where ‘real’ musicians were more concerned with the make-up of their songs than the make-up on their face. Keen and earnest, the scene nonetheless spawned Kilburn & The High Roads, who would morph into the Blockheads, the 101ers (who featured a pre-Joe Strummer John Mellor on guitar) and Dr Feelgood, a major influence on the young, impressionable Paul Weller (to this day, Weller still plays From The Floorboards Up without a plectrum, choosing instead to adopt the open-handed Wilko strum whenever he plays it live). 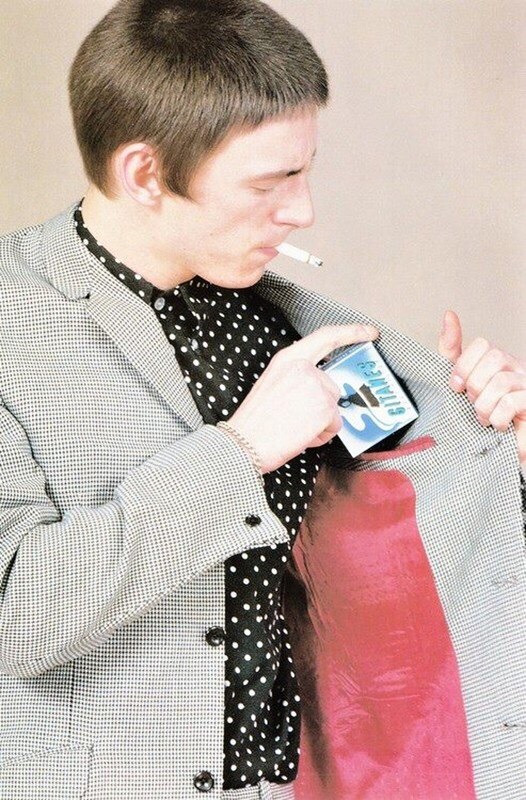 Weller, as it turns out, is more brazen about stealing things than you maybe realise. He has form – not only a strumming pattern from Wilko Johnson but also a career-long vocal delivery cribbed from Steve Marriott, a haircut half-inched from everyone from Worzel Gummidge to Muriel Gray and, more blatantly than any of this, the riff for Changingman that he heartilyappropriated from ELO’s 10538 Overture, something I’ve pointed out before. But long before the heady days of Brit Awards and Stanley Road etc, he was borrowing the mood, the feel and sometimes the chords and melody from more obscure tracks and passing them off as his own work. 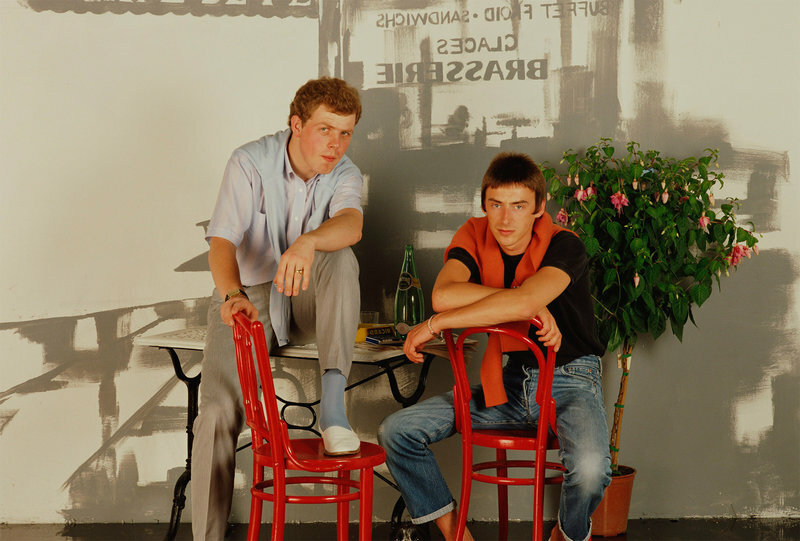 Time has been kinder to the much maligned Style Council than the dissenters might have thought back in the day (C’mon! This might cause a row down in Slough, but some of those tracks are ace – pretentious, aye! Ludicrous, aye! But ace – check out Weller’s recent tour for unarguable proof!) They were a deliberate move away from the Jam’s laddism; cricket jumpers, cycling gear, blokes with arms draped around one another, Weller at the back, pastel sweater hanging off his shoulders like a C&A catalogue model. All reference points lay somewhere between Dusty In Memphis, Curtis in Chicago and tongue firmly in cheek, and you either got it or you harked back to a time when Eton Rifles was the only thing that mattered. Not content with pilfering blatantly from the past for his more soulful numbers, Weller went on the rampage through the more obscure parts of sunshine pop, alighting at Harper & Rowe’s 1967 bossanova boogaloo The Dweller and stealing the best bits for Have You Ever Had It Blue? This track was a highlight of the recent tour, the band kicking out the jams to play their blue notes under blue lighting, an inward-looking circle of nodding, noodling jazz-heads, but how many of the appreciative audience knew they were in effect listening to a carefully restructured cover version? I’ve always loved The Style Council’s track, with its Gil Evans-arranged trumpet motif, the non-rock time signature and wordless Dee C Lee doo-be-doo backing vocals. As a 16 year-old, I thought Weller was a bit of a genius for having ‘written’ something so finger clickingly jazz. Great tune ‘n all that, Paul, but really, how did you manage to get away with it? Paul Weller and Muriel Gray – you never see them in the same room do you? I was not aware that Have You Ever Had It Blue was a cover, slightly disappointed by Mr Weller but it’s still my favourite thing by The Style Council apart from their attempt at Council House. It’s true what they say, every day is a school day. No doubt there are others…..